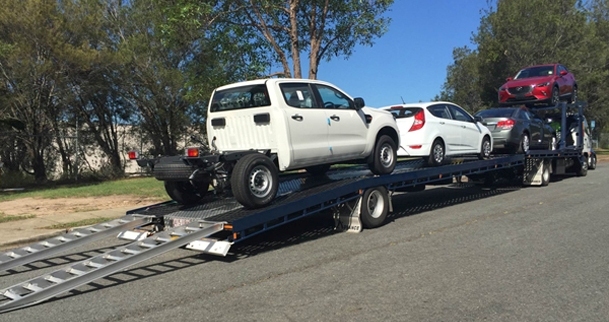 Customer Service is very important to Advance Car Carriers. Our experienced and professional team offer personalised attention to all of our customers. 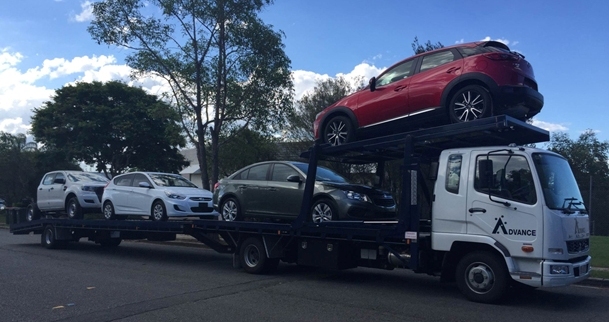 We provide on-time car carrying services for the Sydney, Brisbane and Melbourne metropolitan areas, along with regular interstate & intrastate deliveries. Our coverage in the Sydney region extends to Canberra, Nowra, Bathurst, Newcastle, the Central Coast and Wollongong. Around the Brisbane region we cover the Gold Coast, Tweed Heads, Toowoomba and the Sunshine Coast. In Melbourne we cover all regions of Victoria. WHAT MAKES US THE FIRST CHOICE OF HUNDREDS OF COMPANIES? Simply put, we look after our customers. We know what really counts and make sure we’re there 100% of the time. We operate a modern and reliable fleet of trucks. Our experienced and dedicated drivers will ensure that your vehicles are treated with care. To lodge an online transport request please complete the following form. When done press the ‘submit’ button. If you would prefer to download a printable form please click here. © Copyright 2016. Advance Car Carriers.